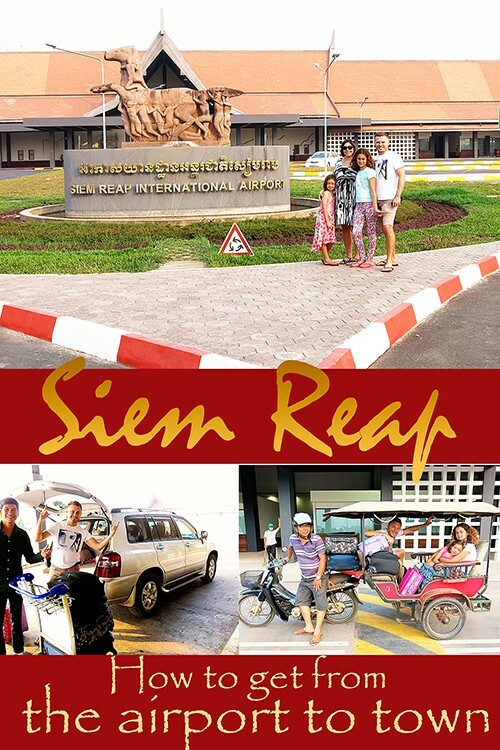 You will be pleased to hear that transfer from Siem Reap airport into town is relatively stress-free and easy-as-can-be! There is no need to pre-book transfers or organise transfers through your hotel at a more costly expense. Drivers of all sorts will be waiting for your arrival and with a pretty strict system in place of set prices and drivers having to wait their turn, organising your transfer is really straightforward! After arriving via two flights on Air Asia from Australia to Cambodia, we were pretty happy to see that Siem Reap Airport is pretty small in size. Small airports are perfect for arrival as it generally means that you can be out of the arrival gate within a short span of time. It only took us about 35 min to get our visas organised, go through passport control and collect our bags! After an overnight sleepless night with two young children, we were thankful for the smooth and fast progress through the airport. We were ready to explore Siem Reap, the Angkor Complex Temples and the local villages close by to this region. Once you have your bags and visas organised, you will have four options to choose from for getting to Siem Reap from the airport: moto, tuk-tuk, taxi or van taxi. As we travelled into Siem Reap multiple times, we have a few different options a test run! Other Cambodia transport guides: Siem Reap to Phnom Penh (or vice versa) and Siem Reap to Sihanoukville/Koh Rong. Find out about our glorious Siem Reap Accommodation here. A moto or motorbike taxi is the perfect cost-effective option for single travellers with minimal baggage. You can organise your Moto transfer at the Taxi stand. They have clear signs with prices indicated on the window, so your driver has no way of ripping you off! Tip: Try not to wear your backpack or bag on your back, try placing it in between you and your driver or ask your driver to place it by his feet. Unlike the moto and taxi options that can be organised at the Taxi stand; Tuk-Tuk drivers can be hired from the group of keen and willing drivers that you will meet just outside the airport door. Be sure to organise your price BEFORE you get onto the tuk-tuk. Prices might differ by a dollar or two depending on where you are staying! Our first hotel we stayed at was slightly out of town, so it cost us US $6 to get there. If you organise airport pickup through your hotel, they will most likely send out a Tuk-Tuk driver to pick you up. Prices will be inflated, so you might just as well hire one yourself at a cheaper price. Tip: If you don’t mind a tight fit, you will be surprised as to how much baggage you can fit on a Tuk-Tuk. As you can see in our photo, we managed to fit a lot on to our Tuk-Tuk! Also, if you enjoyed the services of your Tuk-Tuk driver, why not make use of him to get round and about as they will typically offer you cheaper prices if you use them from day to day, plus it is really nice to have the same driver so you can get to know him a little bit. A bit squishy, but probably a more fun ride for the kids. A taxi is the perfect option for smaller families with limited baggage. Generally, your normal taxi’s can seat 4 passengers, however, most taxies can only fit 2 suitcases in their trunks. So families who do not feel like holding bags on their laps should consider taking the Van Taxi option down below. 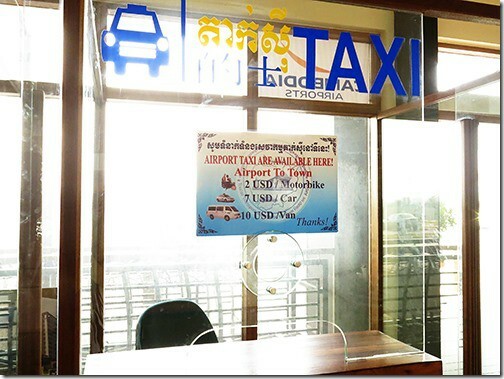 Taxi Stand – The taxi fare from Siem Reap airport to city at the Taxi transfer at the Taxi stand is a set cost of US $7. Hotel Taxi’s – You also have the option of organising your transfer through your hotel. You will need to specify very clearly that you are after a taxi and not a Tuk-Tuk, as most hotels send out Tuk-Tuk’s to collect their guests. Choosing to organise the taxi through your hotel will set you back by US $10 ++, depending on the style of hotel you are staying in. We had a free one-way transfer to our hotel and this was the car they sent out to fit all of us in. We organized to use them on the return journey and it cost us US $10 through our hotel. A van taxi is a perfect option for families or groups with more baggage. Generally, they can seat 6 or more passengers with enough space for all the luggage. Therefore it will be a more comfortable and spacious ride for only a few dollars more than the normal size taxi. Taxi Stand – You can organise your van Taxi transfer at the Taxi stand for a set cost of US $10. 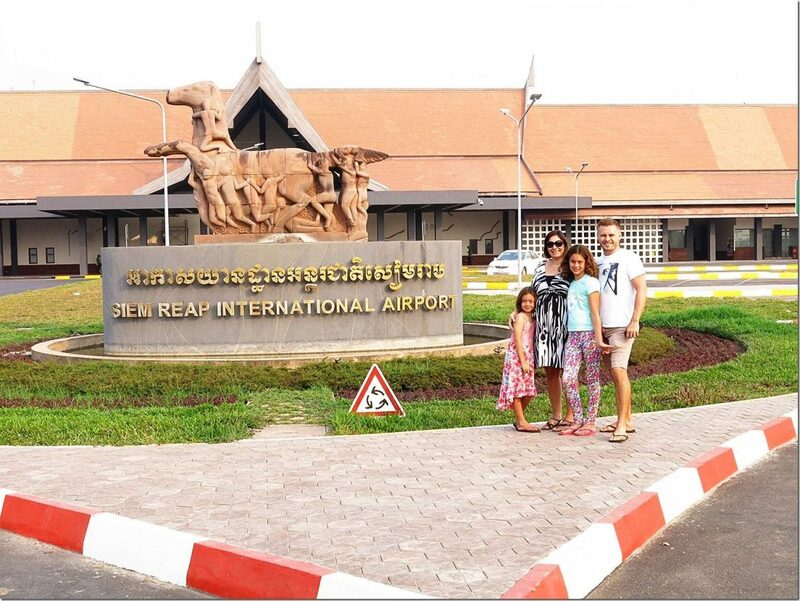 How long does it take to get from the airport to Siem Reap town? The answer here will generally depend on where you are staying. 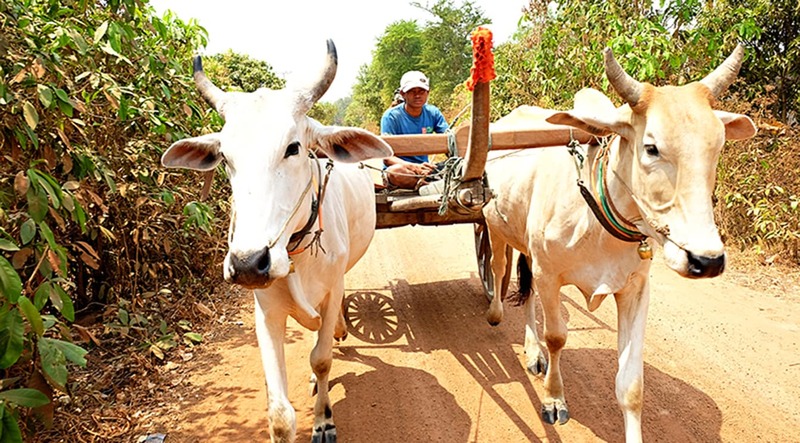 Generally, the transfer from the airport to Siem Reap will take anywhere from 20-30min. Please see the map below for markers to indicate the airport location, the Angkor complex location as well as one of the popular tourist hotspot streets in Siem Reap – Pub Street. 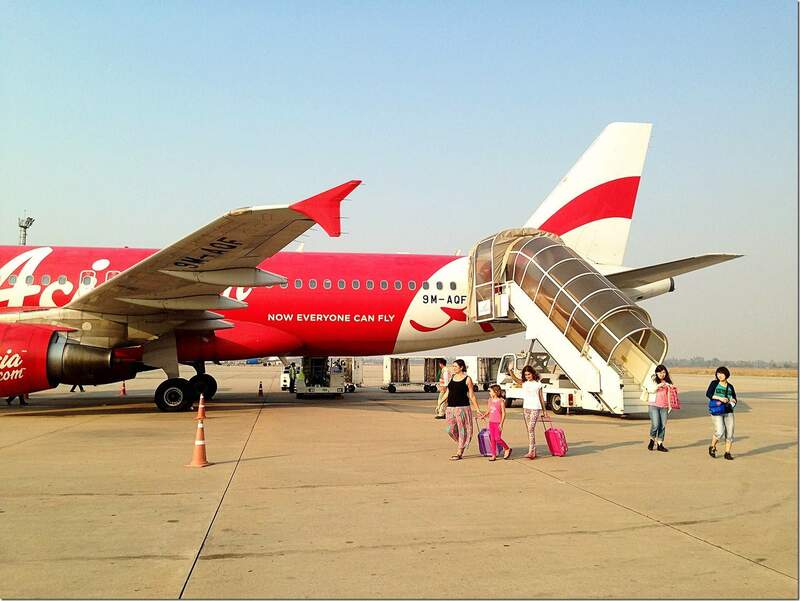 We hope your transfer from the airport to Siem Reap town goes down as smooth as ours! Enjoy your travels! Read our post about how to get from Siem Reap to Phomn Penh here. 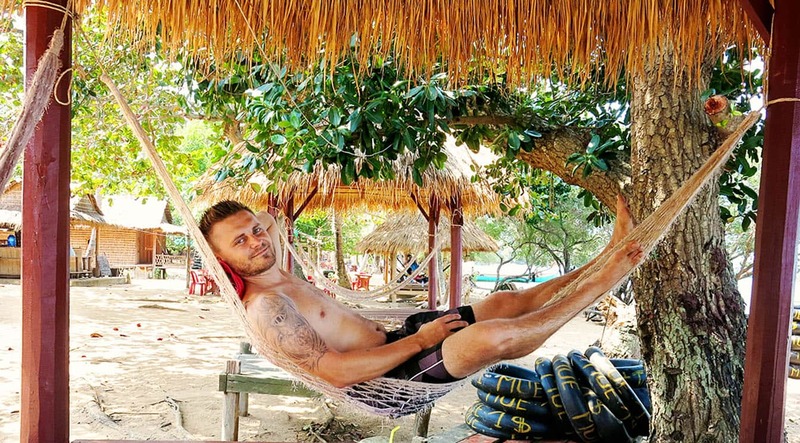 Read more about our family trip through Cambodia here. Thanks for the heads up. I’ll be going with m wife and minimal baggage so we’ll opt for the tuk tuk. We’re staying at the Mad Monkey’s hotel. Would love to know about the best things and not to miss things in Siam Reap. We’re only going from 6-10th of April. Just realized after seeing your pics there is Koh Rong but I doubt we have enough time to go there. I wish I did, it looks beautiful!